Get a great food at a great price! 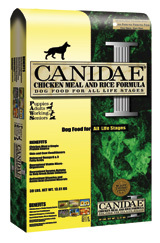 Excellent Palatability – Dogs Love CANIDAE®! With the holidays arriving, it’s time to plan for your trips. Part of the planning is care for your favorite pet. We’re honored to board small animals, reptiles, and birds. Spots do fill fast, so book as early as possible. Want to save some time? Download the new boarding form here and fill it out at your leisure and bring it in with you. For the owners of all birds boarding here (except for finches), we must have a valid psittacosis test from your vet on file before boarding (these take two weeks to get , so call your vet early). Call us for more information or to book your reservation. Thanksgiving news, greyhounds, and a new boarding form online! The greyhounds will be here this Saturday. These stunning, elegant dogs are going to be by visiting from 11 – 3; stop by and say hi. Wilmette Pet Center will be closed this Thursday, November 24th, for Thanksgiving. And keep an eye out for Sheila and her little elf helpers in the Wilmette Holiday Parade this Saturday! And with the holidays arriving, it’s time to plan for your trips. Part of the planning is care for your favorite pet. We’re honored to board small animals, reptiles, and birds. Spots do fill fast, so book as early as possible. Want to save some time? Download the new boarding form here and fill it out at your leisure and bring it in with you. For the owners of all birds boarding here (except for finches), we must have a valid psittacosis test from your vet on file before boarding (these take two weeks to get , so call your vet early). Call us for more information or to book your reservation. We knew you wouldn’t be here long. Hope we get to see you again real soon! Walk your dog in the early morning and evening, when the temperature is cooler. will help them shed excess heat. Give your dog a new do! A shorter haircut right now will do a lot to help keep them cool. shown to help calm dogs that are fearful, anxious, or over excited. With a little care and forethought, you can keep your dog both safe and happy during the great summer months. Enjoy Your New Home, Cody! Thanks to the folks at Wilmette Pet Center, and the great work they do with Adopt-A-Pet Illinois. Because of them we now have Cody (formerly Quimby) in our lives. Here he is, day two, napping hard after a rigorous hour of play. Cody is amazing and immediately one of the family. Thank you! What an adorable addition to your family! Goodbye Hank! Enjoy your new human companions! Interested in adding a pet to your family? Check out Adopt-a-Pet today! We all love our iced lattes, coffees, and teas during the hot summer months. But did you know that frozen treats are a great way to help keep your dog cool and occupied, too? Here are some of the coolest ideas and products we have for your pup. Many people are familiar with peanut butter in a Kong, but there are so many more ideas! Try filling it with mashed potatoes and frozen peas, then freeze. Combine some plain yogurt, canned pumpkin, and cooked brown rice in a small baggie. Mix well inside the bag, then snip off a corner of the bag and squeeze it into the Kong toy, then freeze. Soak some of your dog’s regular food in water (or chicken broth) for a brief time before placing it inside a Kong, then freeze. Try a “Cheesy Elvis”: Combine a ripe banana, 3 spoonfuls of peanut butter, and a slice of cheese (melt slightly in microwave to make mixing easier). Mix until blended well, fill the Kong and freeze. Want something meatier for your carnivore? Try a doggy omelet: combine a scrambled egg, some beef, yogurt, melted cheese and mashed potatoes all together in a Kong and freeze. Mix tuna or your favorite freeze dried meat treat, like Stella and Chewey’s or Whole Life, with some yogurt and freeze in the Kong. For fillings that are very wet, use a chewy treat or food piece to fill the small hole in the end to make filling easier. Is your dog a big chewer? Fill the Kong completely to make getting the goodies out more difficult. You can also fill the Kong, then place it in a dish and cover with broth. Freeze the whole thing, then give the entire block to your dog so they have to work through the ice to get to the Kong! Also try running a rope through the Kong, fill and freeze, then hang from a branch in a shady spot for a fun doggy piñata. Try these fun and healthy do-it-yourself treats. Mix all the ingredients and freeze them in ice cubes for small dogs, Dixie cups for medium dogs, and large paper cups or popsicle trays for larger dogs. They can also be frozen in a Kong for big chewers. Allow your dog to chew on it for a couple of hours, then take it away, rinse it off, and refreeze it. You can repeat this three or four times. Give your dog the frozen bone all day long, taking it away at the end. If your dog manages to remove all the meat and marrow, you can allow them to chew on the bone for as long as it lasts (taking it away when it is too small). If there is still some meat or marrow left at the end, throw the bone away. 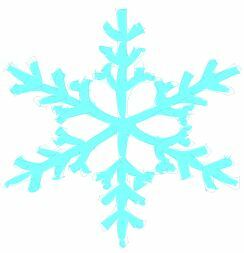 As always, treat frozen bones as raw meat and be sure to sanitize your hands and their play area afterward. You should also always monitor your pup’s play time, and, as these frozen treats can be messy. Feed them outside, on the porch, or some place that is easy to clean.